Ensuring disaster response and recovery processes incorporate critical elements of ecosystem and resilience based approaches. My interest in theory stems from my engagement with practice. My current research interest lies at the intersection of climate change, disaster risk and inclusive and sustainable development with a focus on community led change initiatives. I have worked for nearly 8 years with specific experience in sectors like water and sanitation, rural livelihoods, disaster risk reduction (DRR), climate adaptation and emergency response and recovery. My specific experience includes working on assorted innovative community development and humanitarian initiatives ranging from rapid response and early recovery, disaster early warning systems, policy level mainstreaming initiatives on disaster risk reduction, and climate smart agriculture initiatives having long term implications for people at the frontlines. Most of my work has focused on exploring new strategies, approaches and ideas required for disaster risk reduction and development to address newer challenges posed by changing climate. This entails looking into initiatives on resilience in the context of South Asia and its linkages to other sectors. 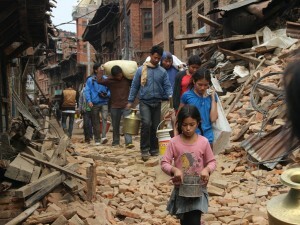 I am currently managing emergency response and recovery initiatives in the immediate aftermath of the Nepal earthquake, supported by Christian Aid. In addition to this, I am also working on strengthening the trans boundary early warning mechanism between India and Nepal having critical importance for the resilience of the at-risk communities. My interest lies in linking resilience and ecosystem based approaches to disaster recovery across sectors. In the past, I have been associated with a World Bank- South-South Cooperation initiative on increasing resilience of women leaders in times of growing climate and disaster risk in the states of Maharashtra, Tamilnadu and Bihar in India. I was also engaged in an initiative on Building Resilience of Communities: Localizing Hyogo Framework for Action (HFA) aiming at promoting localisation and institutionalisation of HFA priorities, placing communities and women groups at the centre stage in two states of India. I am particularly interested in the linkages between environmental change, poverty and social safety. I forsee myself working on community led change initiatives in the area of disaster and climate risk reduction in South Asia. I have a Master’s degree in disaster management from Tata Institute of Social Sciences, Mumbai, India with a one year research on community based climate change adaptation in the Himalyan Eco System. I also carry an advanced certificate in disaster risk reduction (DRR) focusing on vulnerabilities and capacities in times of climate change from Ecole Polytechnique Fédérale de Lausanne (EPFL), Switzerland. 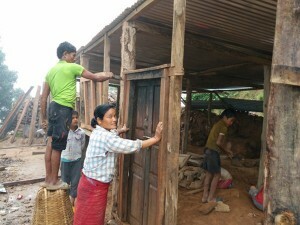 Rebuilding shelters post earthquake in Nepal; owner driven construction. Unesco World Heritage Site Bhaktapur, in Nepal, soon after the earthquake. 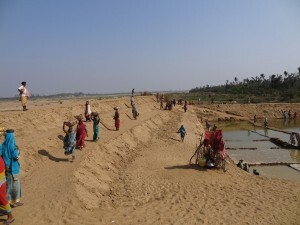 Women engaged in rebuilding their lives and livelihoods soon after the cyclone on east coast of India.